When we come back after a break over Christmas, it can often feel a bit lack lustre. The weather is dark and dreary and it is back to business as usual. Sometimes it takes a few weeks for us to get back into our flow and rebalance our energy levels. We may have set ourselves some goals for the New Year, hopefully we have set some goals for the company and for ourselves. But with the best will in the world sometimes goals turn into things we talk about doing, but we don’t ever seem to complete. Do you feel like that? You are not alone. So, what about vision? How can having a vision for ourself and our business make a difference? A vision is a picture in our mind that we have about ourself, our company or anything we may wish to pursue. Without a vision we can lack clarity of how we can pursue our dreams. 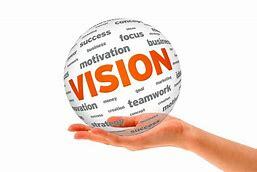 Without a vision, goals can seem meaningless and we may question why we set them in the first place. How can we create a vision? •	Who do I want to be? •	What impact do I want my company to have on the world? •	What difference do I want to make to my customers/clients? These questions can help to create some clarity of our vision and of course they can be amended to suit the purpose of the vision statement. The questions may not be the vision, but the key is to energise ourselves to begin the creative process. So, begin by creating a list of really great questions that help you to craft your vision, if your vision is about your company, bring in other team members to answer the questions with honesty. Achieving meaningless goals that are not linked to vision and purpose can be difficult and sometimes when we are further along in our journey of running a company every day can feel like an adventure and some days, we may question why we are doing it, particularly in January. It is on those days when the vision can really help us to reconnect to the passion and purpose of why we do what we do.